Candidiasis is one of the most common oral fungal infections in humans. Localized oral candidiasis should be managed initially with local treatment confined to the site of involvement before systemic antifungal drugs are used. Recognition of the potential risk and early treatment of oral candidiasis may prevent serious morbidity in high-risk patients. A study evaluated the efficacy of fluconazole mouthrinse compared to clotrimazole mouthpaint in the treatment of oral candidiasis. 43 patients were treated with fluconazole mouthrinse (Group A) and 46 patients were treated with clotrimazole mouthpaint (Group B). The clinical resolution rates in Group A and Group B were 96% and 78%, respectively. More fluconazole-treated patients remained disease-free during the 15 day follow-up than those treated with clotrimazole. Both treatment regimens were well tolerated. Although the number of patients in the present study was small, the outcome was promising. Additionally, the dose of fluconazole used per day was only 30 mg, which is less than one-third of the standard oral dose of fluconazole (100 mg). Note: These preparations may not be effective in the treatment of widespread severe oral candidiasis in immuno-compromised patients. Australian Dental Journal 2009: 54: 341-6. Click here to read the abstract of this article. Cold sores? Looking for a Natural Remedy? 2-Deoxy D-Glucose is a sugar derivative sometimes referred to as Nature’s Antiviral. 2-DDG can inhibit the replication of herpes simplex virus (HSV) which causes cold sores. Ask us about compounded lip balms. The following study examined the use of medicated flavored lollipops that each contained 15 mg of ketoconazole. A hydrophilic polymer was added to increase the retention time of the drug in the mouth. The study concluded that medicated lollipops or lozenges are ideal dosage forms for treatment of pediatric patients with oral thrush. Stability studies at room temperatures showed that the formulations were stable for 3 months. Int. J. LifeSc. Bt & Pharm. Res. 2012; 1(1): 95 – 102. Click here to read the PubMed abstract of this article. Treatment for Recurrent Aphthous StomatitisIn a clinical randomized crossover trial, minocycline 0.2% and tetracycline 0.25% aqueous oral rinses were assessed in patients with frequent episodes of RAS. Minocycline mouthwashes as compared to topical tetracycline rinses resulted in significantly improved pain control, by reducing the severity and duration of pain. Topical minocycline rinse may be a potential treatment for other non-infectious inflammatory ulcerative oral mucosal diseases. Spec Care Dentist. 2008 Jan-Feb;28(1):27-31. A single-blind controlled study evaluated the therapeutic efficacy and safety of lactic acid 5% mouthwash, one teaspoonful three times daily before meals, and concluded that this is an effective therapy for patients with RAS and significantly reduced the signs and symptoms of the disease. Dyclonine Topical Anesthetic SolutionDyclonine HCl 0.5% and 1.0% Topical Solutions are listed in the “Discontinued Drug Product List” section of the Orange Book as Dyclone™ products were NOT withdrawn from commercial manufacture for reasons of safety or effectiveness. Unlike the original product which had an unpleasant taste, compounded dyclonine topical anesthetic solution can be formulated in mint and several other pleasing flavors. Topical Medication to Treat Orofacial Neuropathic PainThe Department of Diagnostic Sciences, Division of Orofacial Pain, University of Medicine and Dentistry of New Jersey, Newark, conducted a study to evaluate the effect of topical medications alone or in combination with systemic medications in the treatment of orofacial neuropathic pain conditions. A retrospective chart review was performed for 39 patients who were diagnosed with a neuropathic pain condition such as deafferentation pain, traumatic neuroma, or trigeminal or glossopharyngeal neuralgia, and were treated for orofacial neuropathic pain at the Orofacial Pain Clinic.The review concluded that topical medication as single treatment or in combination with systemic medications can reduce orofacial neuropathic pain severity. Oral Surg Oral Med Oral Pathol Oral Radiol Endod. 2008 Apr;105(4):466-9. Update on Burning Mouth SyndromeBurning mouth syndrome (BMS), also referred to as glossopyrosis or glossodynia (when the burning occurs on the tongue only) is usually described as oral burning pain, sometimes with dysesthetic qualities similar to those present in other neuropathic pain conditions. The dorsal tongue, palate, lips and gingival tissues, individually or in combination, are the most common sites involved. Bilateral or unilateral oral burning pain has been found to be associated with jaw pain or uncontrollable tightness, taste changes, subjective dry mouth, geographic and fissured tongue, painful teeth, headache, neck and shoulder pain, difficulty speaking, nausea, gagging and swallowing difficulties. BMS has been reported to follow dental treatment, antibiotic usage and a severe upper respiratory infection. The lack of pathology to account for the pain can be frustrating. Pain is constant, progressively increases over the day, and usually decreases during eating. Patients, who are frequently distressed by their unremitting symptoms, may demonstrate psychological abnormalities including anxiety and depression.Therapy for BMS involves the use of centrally acting medications for neuropathic pain, such as tricyclic antidepressants, benzodiazepines or gabapentin. Clonazepam is a benzodiazepine used either topically or in low doses orally, which appears to have excellent efficacy in the relief of the symptoms related to BMS. Topical medications, including clonidine, may be considered for application to local sites. Click here to view the abstract of this article. The formulation for a mouthrinse containing clonazepam 1 mg per 5 ml has been reported. It is hypothesized that clonazepam acts locally to disrupt the mechanism(s) underlying stomatodynia. Topical formulations of gabapentin, ketamine, clonidine, and baclofen have been used to treat chronic neuropathic pain at various bodily sites. Triamcinolone Acetonide Oral Rinse for Treating Oral Lichen PlanusCorticosteroids are the class of drug most commonly used for the treatment of oral lichen planus. Triamcinolone acetonide paste is the most widely available commercial preparation for the treatment of oral lichen planus, but is difficult to apply to mucosa and patients have reported an unpleasant sticky sensation. Delivery of corticosteroids via an oral rinse has the advantage of providing drug contact with the distal, hard-to-reach crevices and surfaces of the oral cavity, which can prevent new eruptions.The use of a 0.1% triamcinolone acetonide aqueous suspension as an oral rinse in the treatment of symptomatic oral lichen planus has proven to be more effective than the 0.1% dental paste. This preparation must be compounded extemporaneously and should not contain flavoring (which stimulate salivation and therefore dilute the preparation in the mouth, decreasing its effectiveness) or preservatives (which may sting or burn the mucosa). Also, researchers have formulated a triamcinolone acetonide solution for use as an oral rinse, which is more convenient to use and more palatable than the commercially available triamcinolone acetonide paste, with similar therapeutic efficacy. Am J Health Syst Pharm. 2005 Mar 1;62(5):485-91. Topical Phenytoin for Chemotherapy-induced Oral MucositisOral mucositis is one of the most common complications of cancer chemotherapy. A multicenter, randomized, placebo-controlled clinical trial evaluated the effectiveness of phenytoin mouthwash as a wound healing agent, on the basis of stimulating effects on fibroblast proliferation. The study concluded that phenytoin mouthwash accelerated wound healing and resolution of mucositis and impressively improved quality of life. For 21 days post-radiation to the tongue, male Wistar rats were treated with 45 mg/day melatonin gel or vehicle, locally applied into their mouths. The application of melatonin gel restored physiological melatonin levels in the tongue and prevented mucosal disruption and ulcer formation. Melatonin gel protected the mitochondria from radiation damage and blunted the inflammasome signaling activation in the tongue, suggesting a potential preventive therapy for mucositis in patients with cancer. J Pineal Res. 2015 Jan;58(1):34-49. Glutamine is a nutrient for rapidly dividing cells and the major energy source for intestinal epithelium. The incidence of severe mucositis in the oral cavity, pharynx and larynx is high among patients with head and neck cancer (HNC) receiving chemoradiotherapy (CRT), resulting in significant pain and impairment of quality of life. A double-blind, randomized, placebo-controlled showed that glutamine significantly decreased the maximal mucositis grade and pain score at weeks 4, 5 and 6. Effects of oral glutamine during abdominal radiotherapy on chronic radiation enteritis: a randomized controlled trial. Anderson et al. of the Mayo Clinic reported that administration of glutamine suspension after chemotherapy (2 g/m2/dose for adults, swish and swallow twice daily on days of chemotherapy and for at least 14 additional days) has resulted in significant amelioration of stomatitis (duration of mouth pain was 4.5 days less when compared to placebo). The severity of oral pain was also reduced significantly when glutamine was provided with chemotherapy – the amount of days mucositis restricted oral intake to soft foods was 4 days less with glutamine. No toxicity of glutamine was observed. Oral glutamine appears to be a simple and useful measure to increase the comfort of many patients at high risk of developing mouth sores as a consequence of chemotherapy. Oral mucositis (mouth sores and/or difficulty swallowing) continues to be a common and debilitating side effect of the conditioning regimens that use high-dose chemotherapy with or without radiation for pediatric bone marrow transplantation. Severe mucositis is a common cause of morbidity in hematopoietic stem cell transplant (HSCT) recipients. Physicians may want to consider oral glutamine supplementation as a routine part of supportive care of Stem Cell Transplantation (SCT) patients. L-glutamine decreases the severity of mucositis induced by chemoradiotherapy in patients with locally advanced head and neck cancer: a double-blind, randomized, placebo-controlled trial. Topical Oral Solutions for the Treatment of Chemo-Induced Oral Mucositis“Magic mouthwashes” are topical solutions or suspensions prepared to relieve symptoms of various oral pathologies. 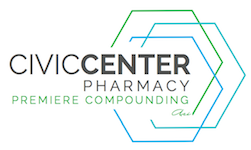 As compounding pharmacists, we recognize the need for practitioners to have the ability to prescribe customized preparations to meet specific patient needs. We can compound various medications into a stable, pleasantly-flavored, alcohol-free suspension. Misoprostol: Mucosal Protectant and Anti-SecretoryMisoprostol is a synthetic prostaglandin E1 analogue, with mucosal cytoprotectant and antisecretory properties. A mouthrinse containing misoprostol and lidocaine in a non-irritating neutral vehicle can be used to provide immediate pain relief and aid in the healing of the oral cavity.A mucoadhesive powder containing misoprostol can be used to aid in the healing of mucosal ulcers and irritations. It is applied by using a powder “puffer” or by direct application of the powder to the affected area. The carriers will hydrate and adhere to the mucosal surface, keeping the misoprostol in prolonged contact with the area. Burning Mouth Syndrome (BMS) Relieved with Alpha Lipoic Acid (ALA)A double blind, controlled study compared alpha lipoic acid with placebo for two months on 60 patients with constant BMS, in whom there was no laboratory evidence of deficiencies in iron, vitamins or thyroid function and no hyperglycemia. Following treatment with alpha lipoic acid 600 mg orally daily, there was a significant symptomatic improvement compared with placebo. This improvement was maintained in over 70% of patients at the 1 year follow-up. J Oral Pathol Med. 2002 May;31(5):267-9. Burning mouth syndrome (BMS): double blind controlled study of alpha-lipoic acid (thioctic acid) therapy. Saliva Substitute for Dry Mouth/ThroatSaliva replacement is an important adjunct to relieving the symptoms of xerostomia in patients with Sjogren’s Syndrome. Saliva substitutes which contain thickening agents like carboxymethylcellulose are used because water alone can not adequately moisten and lubricate the oral mucosa and teeth. Dry mouth or throat secondary to a number of conditions can be relieved with a customized saliva substitute that can be administered throughout the day and night and can be flavoured to please each patient. Keeping the mucosal membranes moist can improve comfort for the patient and minimise irritation and the risk of infection. Pilocarpine Troches for XerostomiaPilocarpine is indicated for the treatment of xerostomia secondary to radiation therapy of the head and neck. Pilocarpine is a cholinergic agent that stimulates residual-functioning exocrine glands. In a study by Vivino et al., pilocarpine at oral doses of 2.5mg and 5mg four times daily significantly increased saliva production and alleviated symptoms of dry mouth when compared to placebo. The higher dose produced the most improvement but also the highest incidence of adverse effects, such as sweating, diarrhoea, and urinary frequency. Pilocarpine tablets for the treatment of dry mouth and dry eye symptoms in patients with Sjogren syndrome: a randomised, placebo-controlled, fixed-dose, multicenter trial. P92-01 Study Group. Treatment for Dry Mouth, Stomatitis, and MucositisLoss of saliva (xerostomia) is one of the most common complaints among patients who have received radiation therapy of the head and neck. Xerostomia contributes to radiation-induced periodontal infection, dental caries, osteoradionecrosis, and poor digestion of carbohydrates. Ask us about sialogogues (saliva stimulants) in customized dosage forms. A new, noninvasive approach for successfully treating the pain and inflammation of TMJ disorders. The gagging patient: a method for success. Compounding dental mouthwashes or rinses may offer numerous advantages over commercially available dosage forms. Elixirs, syrups, and suspensions often contain preservatives such as alcohol which can cause reactions or gastrointestinal irritation, or sugar which makes the preparation undesirable for prolonged use in the mouth or for diabetic patients. A customized preparation without unnecessary excipients – i.e., a sugar-free, dye-free, lactose-free, and preservative-free dosage form – can eliminate concerns of palatability, alcohol content, and dyes which may stain exposed mucosa.Various preparations are also available to treat burning mouth syndrome and anesthetic/analgesic and antibiotic/anti-infective mouthwashes are commonly requested.Ryan et al. of the Department of Pharmacy, University of California San Diego, La Jolla, CA, sought to determine if an oral ketamine “swish and expectorate” mouthwash was a safe and effective method to alleviate mucositis pain. They concluded that a ketamine mouthwash administered using the “swish and spit” technique may be a viable treatment option in refractory mucositis pain.